Or view larger version. Gold Mining in California. 1871. Currier and Ives. Hand-colored lithograph on paper. Collection of Oakland Museum of California. 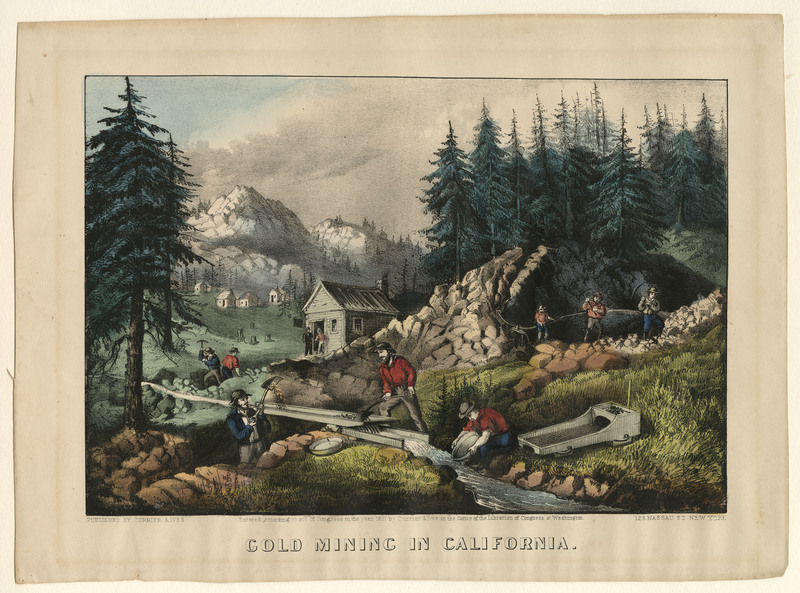 This is a lithograph made by Currier and Ives of men mining for gold in California. Currier and Ives created prints that depicted subjects of every kind including genre prints, landscape prints, and portrait prints. In this print, placer mining is illustrated including miners shown using pickaxes, shovels, gold pans, and a long tom.